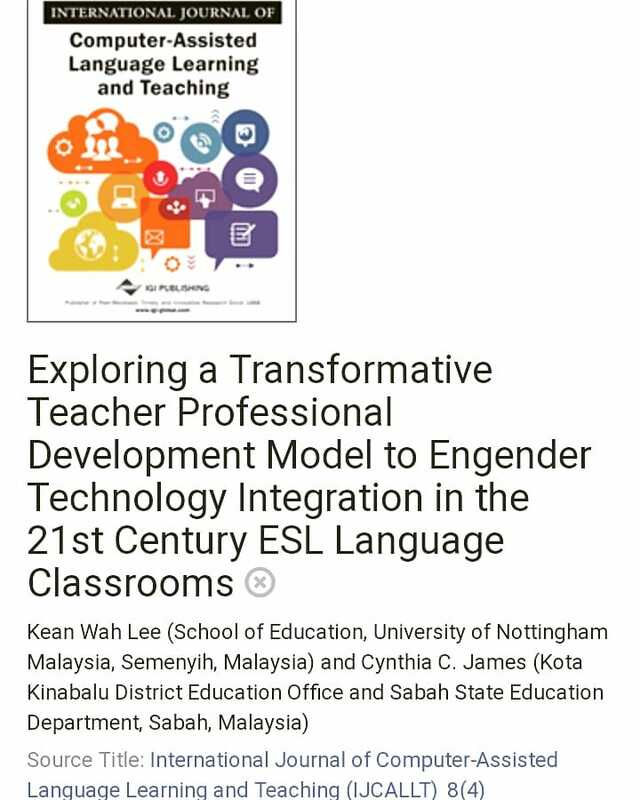 Cambridge University Press ELT has recently published my article on their website World of Better Learning on the use of audiobooks to engage reluctant readers. 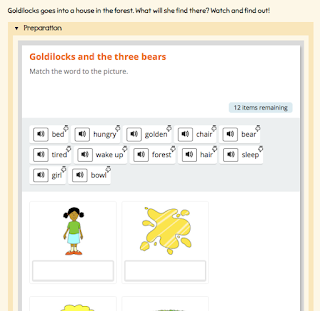 I have since then received a few messages from teachers who are interested in trying out audiobooks in their reading lessons. 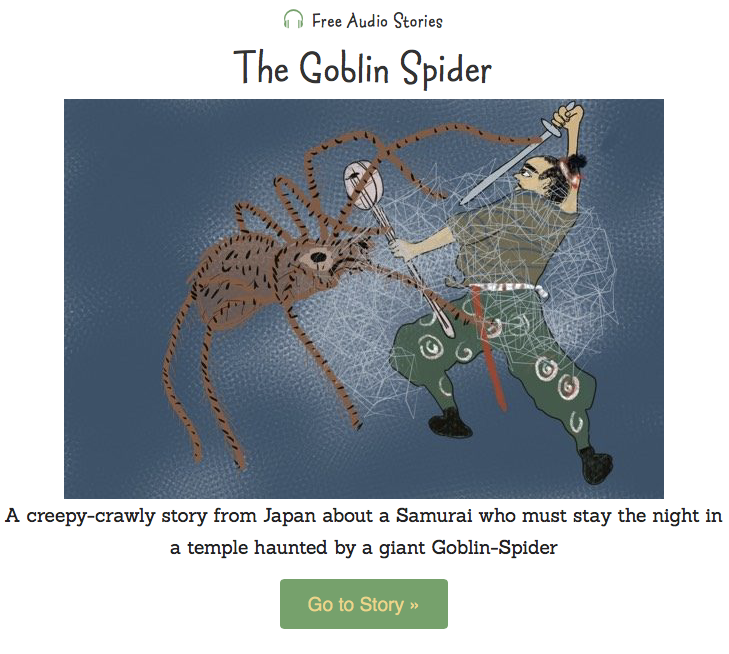 One of the most common questions is on the sources of audiobooks, i.e. where teachers can get them. 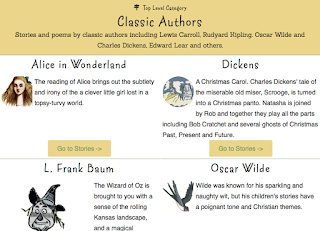 In this post, I will share my sources of audiobooks for use in my reading lessons in the classroom (and also for my own pleasure reading/listening). 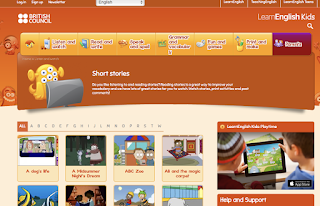 If you are teaching young children and primary school students, you will love this site. 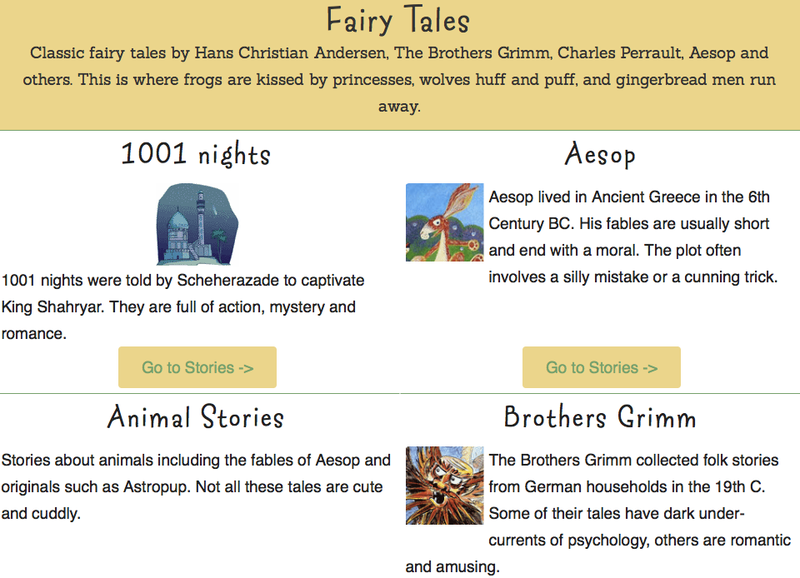 It has a wide range of choices of audio stories for children. The categories include original stories, classics, fairy tales, poems and music. This is one of my favourite sites. 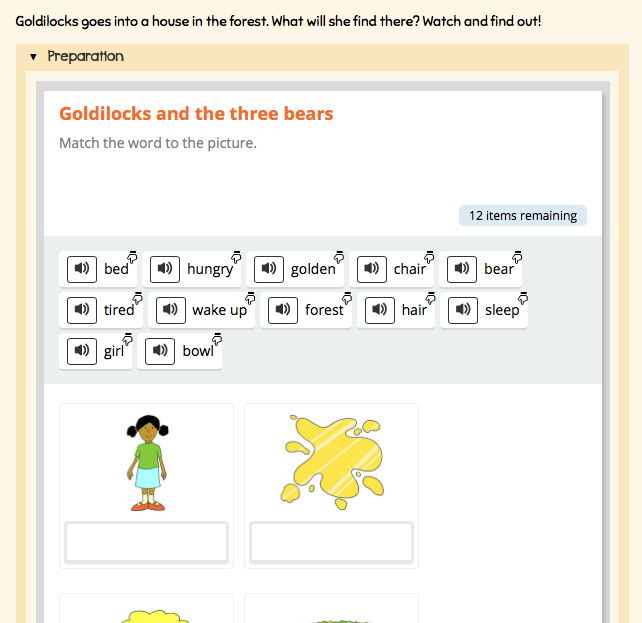 It has tonnes of free teaching materials that teachers can use not just for reading lessons, but also for listening, writing and grammar. 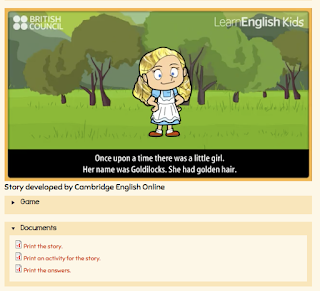 If you are looking for stories with visuals and audio to be used with young learners, have a look at the Short Stories section. 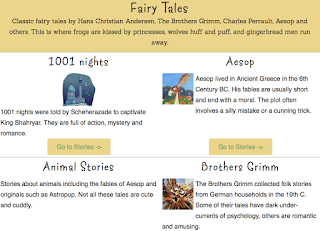 It offers wide selections of stories that children can watch and listen to. 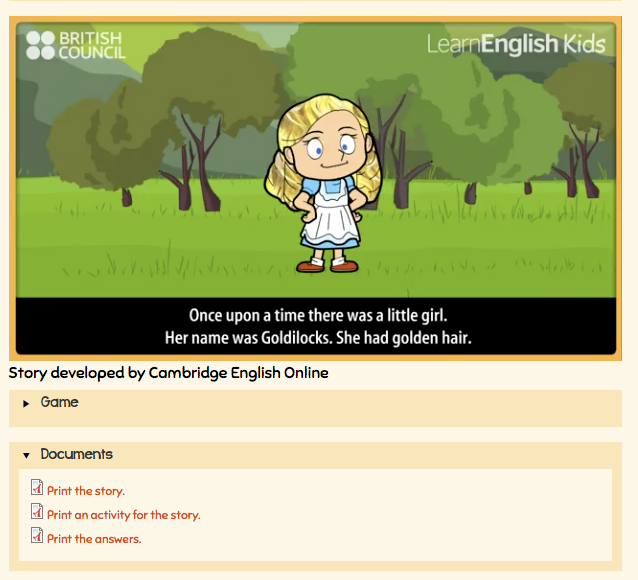 The best part is that each story comes with interactive games, printable version of the story, downloadable worksheets and teaching materials, pictures and flash cards! And these are all available for free! There are many kind souls out there who have been generous enough to upload teaching materials on the World Wide Web for teachers all over the world to download and use - and audiobooks are no exception. Internet search can easily bring you to a list of hundreds of audiobooks that are available online. 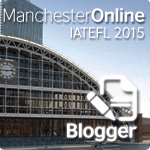 Teachers would need to use their own discretions and professional judgements - as not all the audiobooks available on the Net are suitable or appropriate for our students. I would share here some YouTube channels that I think offer quite good-quality audiobooks that are generally suitable for primary and secondary classrooms. 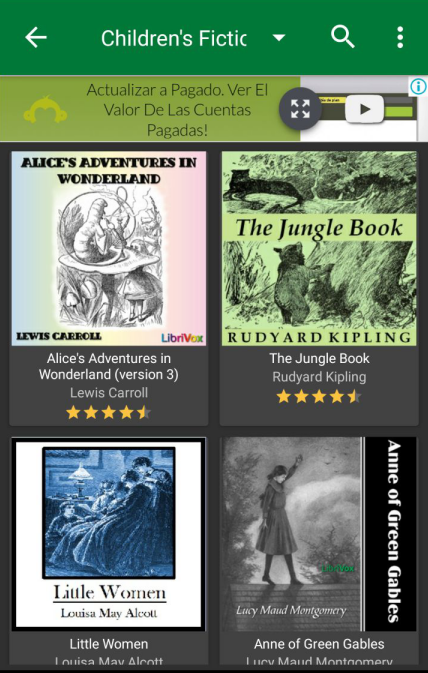 I love listening to my audiobooks using my mobile device. I think it's very convenient. I would usually listen to audiobooks while I'm driving (it makes being stuck in a bad traffic jam more bearable), while cleaning my front porch in the morning, while doing my gardening or when I'm down with an eye infection so bad that it makes it impossible for me to read printed words. I'm sharing here two of my favourite mobile apps for audiobooks. LibriVox is of course my ultimate favourite. 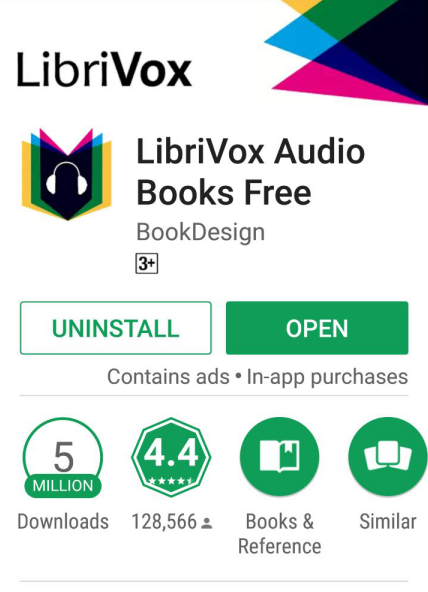 All LibriVox's audiobooks are available for free because they only record works that are in the public domain, i.e. works with copyrights that had expired (published before 1923). Therefore, if you're looking for books published after 1923, LibriVox wouldn't have them. 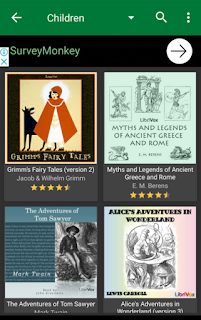 If your students (and you) love classics like Dickens, Austen, Wilde, Shakespeare etc., LibriVox is the perfect place to find great audiobooks. Another important thing to point out is that the recordings are all done by volunteers. So, there's no guarantee that you would like the quality of the recordings. 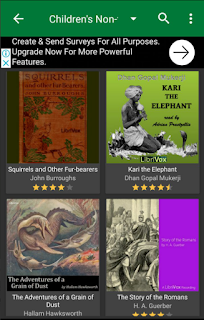 However, LibriVox has its own quality-control standard and from my own experience of listening to some 50++ audiobooks so far, LibriVox has been nothing short of amazing. 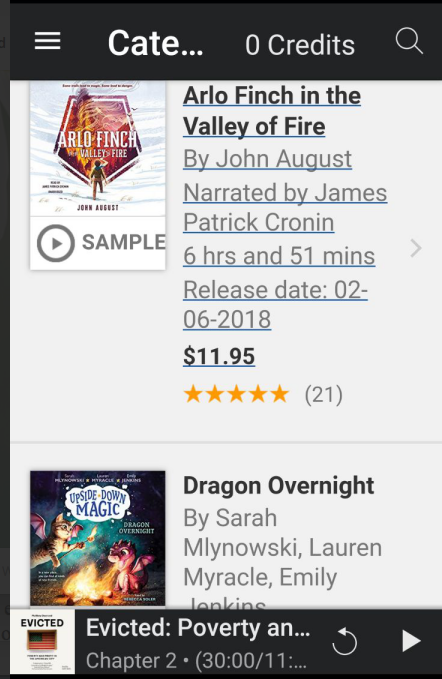 I can say with absolute confidence that the quality of many LibriVox recordings are on par with (if not better than) some commercially produced audiobooks. Go here to download LibriVox mobile app through Google Play Store. 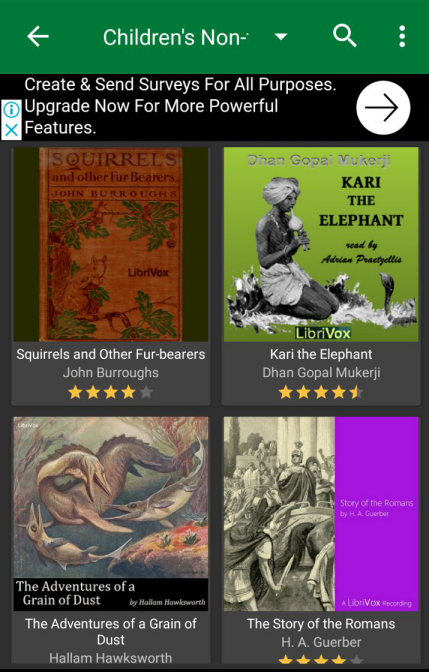 Audible is another audiobooks app that I love to use. 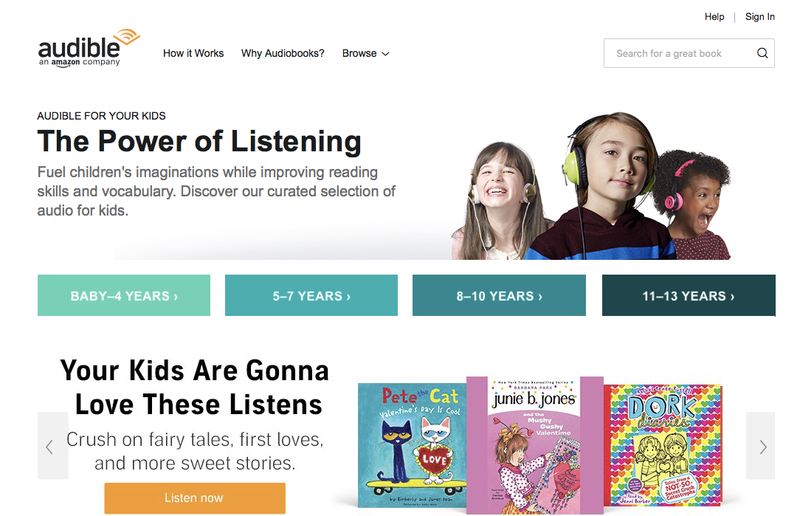 According to Audible, "Listening is the new Reading" :) I love this app very much, and I think teachers can get quite a number of good audiobooks for the classroom. However, Audible is not free. It costs $14.95 per month (about MYR58.22). 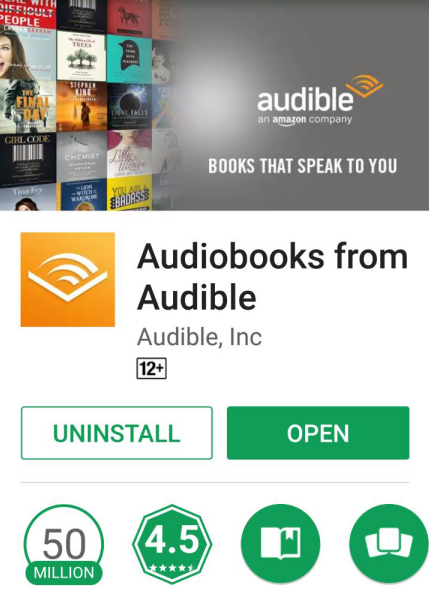 Each month, subscribers will be given one credit that can be used to download one audiobook for free (regardless of price). Subscribers get 30% discount on purchase of additional audiobooks. The greatest thing about Audible is that it has most of the bestsellers and latest titles in its selections. 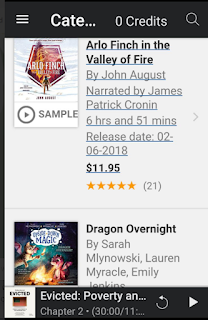 Audible also offers great selections of audiobooks for kids. 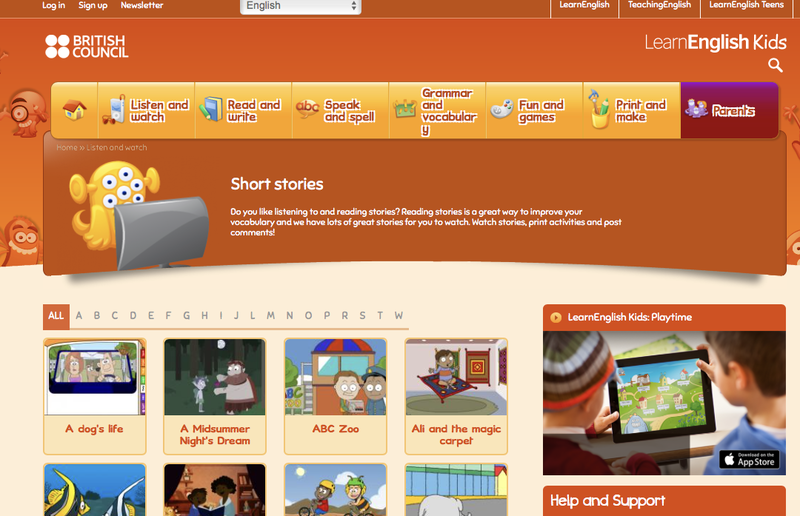 It has audiobooks for kids aged 0 - 4 years old, 5 - 7 years old, 8 - 10 years old, and 11 - 13 years old. 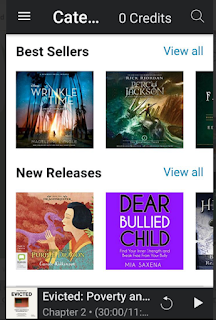 If you are teaching secondary school level, Audible has over 15, 000 titles under its category of audiobooks for teens. Go here to download Audible mobile app through Google Play Store. 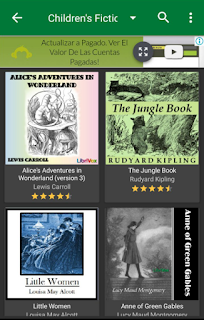 Today, I have downloaded a few more mobile apps that claim to offer good audiobooks for children. I can't include them here yet in this post since I haven't tried them :) But I intend to try out a few within these few days and write reviews for the apps. I'll share the reviews in my next post. 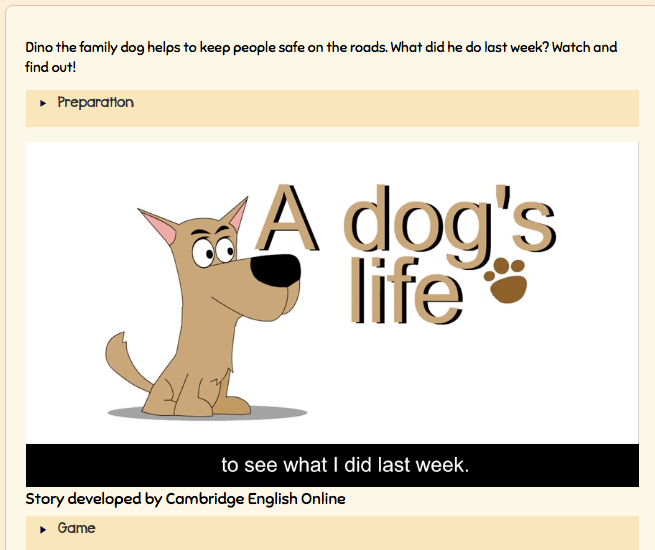 The next post will also discuss some classroom activities that can be used with audiobooks, and a few audiobook-related projects that teachers can do with their students.